This post is sponsored by McCormick & Co.®I received product and compensation for this recipe, of course all thoughts are my own. Thanks for supporting Sweet and Strong sponsors. A healthier way to make a favorite side dish. 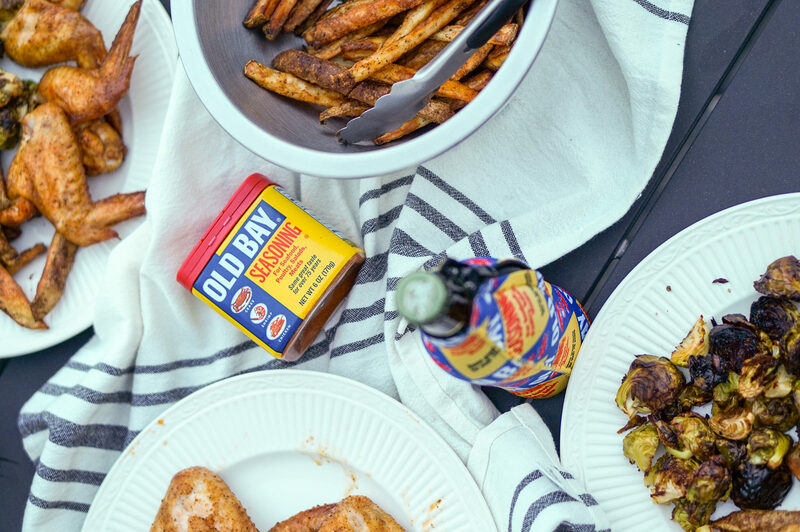 These Oven Baked OLD BAY® French Fries require no frying and are perfectly seasoned with the flavors of OLD BAY®. Ok, confession to make, I had never heard of OLD BAY® let alone eaten a crab cake until eight years ago when I moved from Ohio down to Southern MD. I remember gathering a few groceries at the store and noticing ‘crab flavored’ potato chips, huh! And then a week later attending an all you can eat crab festival where the crabs just lay in the middle of the table and everyone picks away. I thought to myself, wow Maryland sure does love their crabs. But now I can honestly say I look forward to a nice summer night with crabs, beer, and the flavors of OLD BAY®. This seasoning can be used for so much more than just crabs or seafood. 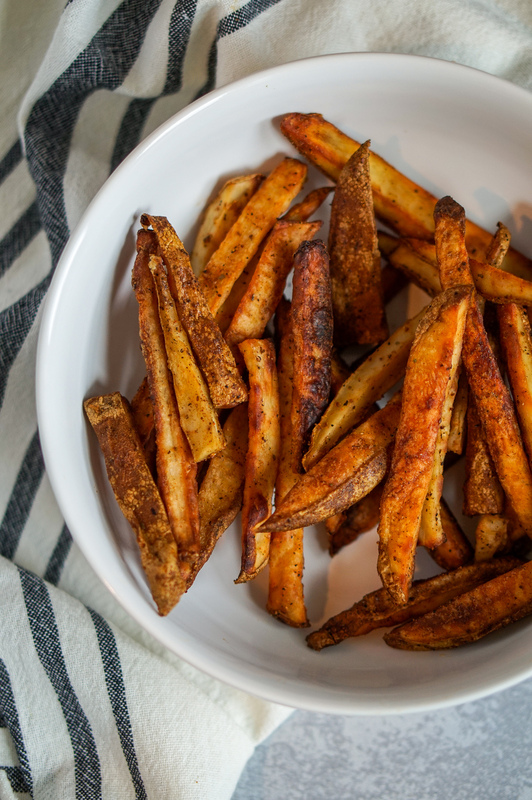 One of my favorite ways to use OLD BAY® is by making Oven Baked French Fries. 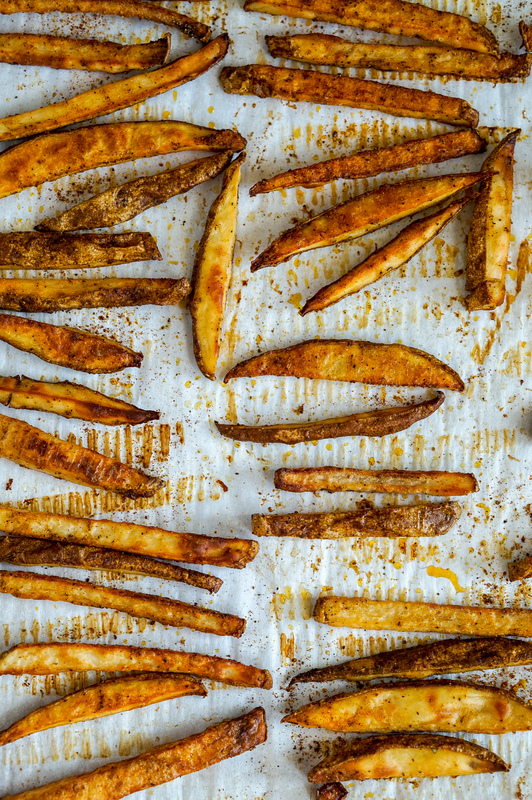 These Oven Baked OLD BAY® Fries are so easy to make and the OLD BAY® seasoning adds such a great flavor to the potatoes. They make the perfect side dish, you can pair them with any meal; burgers, hot dogs, chicken, or crabs. You only need three ingredients to make these oven baked fries; potatoes, extra virgin olive oil, and OLD BAY® Seasoning. Start by cutting the potatoes in fries, I like mine smaller and crispy so I cut them to 1/4 inch thick. I then throw all the fries into a large bowl and add 1 tablespoon of olive oil per potato. Then sprinkle and toss fries with 1 teaspoon OLD BAY® Seasoning per potato. I line two large baking sheets with parchment paper and spread fries out so they aren’t touching. Then bake at 450 degrees for 30 minutes, then I flip the fries, add a little sprinkle of more OLD BAY® and bake for an additional 15-20 minutes. All oven times vary though, I feel like mine take on the longer side and I like them extra crispy. And if you’re looking for more roasted vegetable tips you can some here in this post. Once the fries are cooked I let them sit on the pan for five minutes before tossing into a large bowl for serving. Last Friday the hubs and I came home from spending the day reading and relaxing by the pool. We then cooled off with a beer and make these OLD BAY® Oven Baked Fries and grilled OLD BAY® wings and I served both with some roasted brussels sprouts for a veggie. It was the perfect way to spend a Summer night. Wash each potato. Cut each potato in half lengthwise. Then lay each side half cut-side down and slice lengthwise again into ¼ inch slices. Cut each slice lengthwise again into ¼ inch fries. 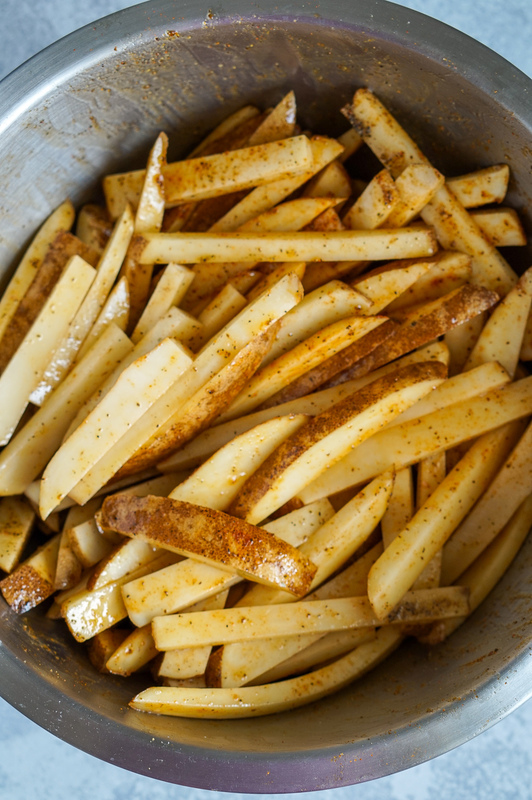 Place cut fries into a large bowl and pour extra virgin olive oil and OLD BAY® Seasoning onto fries. Toss in the bowl to combine. Layer fries on the prepared baking sheets so they are spread out and not touching. 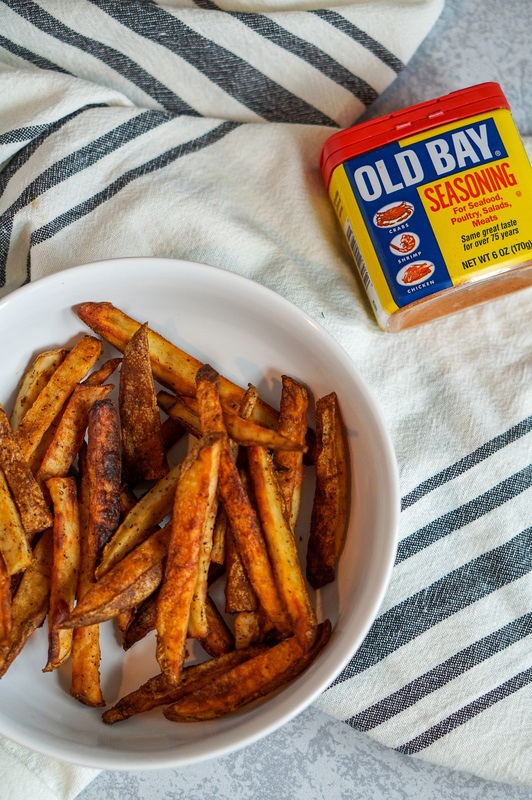 Bake for 25-30 minutes, then flip fries and sprinkle with more OLD BAY® if desired and bake for an additional 15-20 minutes. When you pull the fries out of the oven, let them rest 5 minutes before serving. This Summer OLD BAY® wants to see how Baltimore and DC are doing #OldBayOurWay. 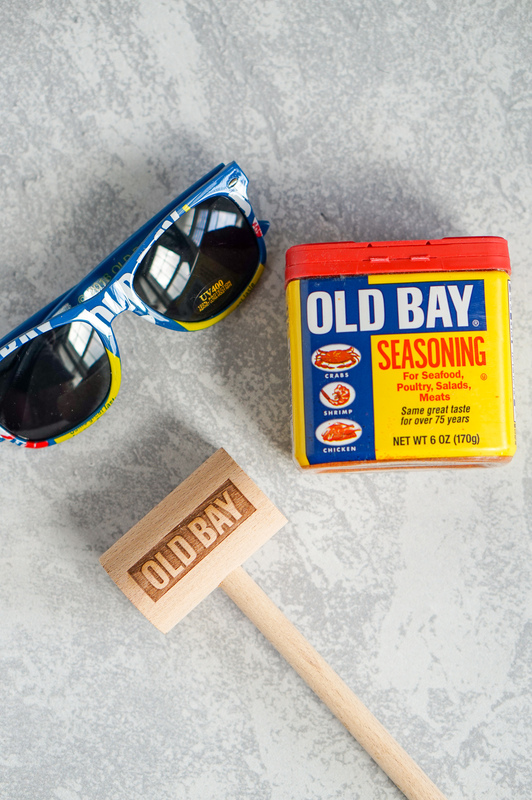 The contest is happening all Summer long on Instagram for OLD BAY® fans in Baltimore and DC. 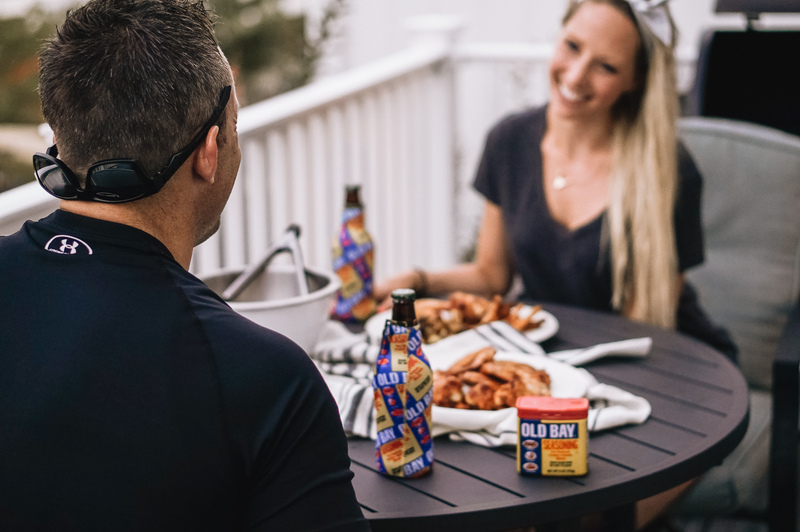 All you need to do is upload a photo of your favorite Summer moment with OLD BAY®, use the hashtag #OldBayOurWay for a chance to win a seasons supply of OLD BAY® Seasoning and swag. Good Luck! 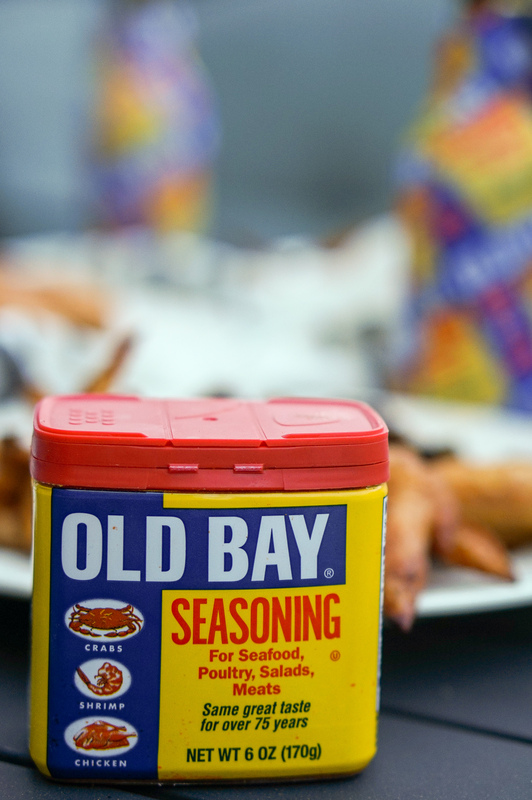 And whether you’re in the DMV area or not be sure follow OLD BAY® on Facebook, Instagram, Pinterest, and Twitter for more recipe inspiration. 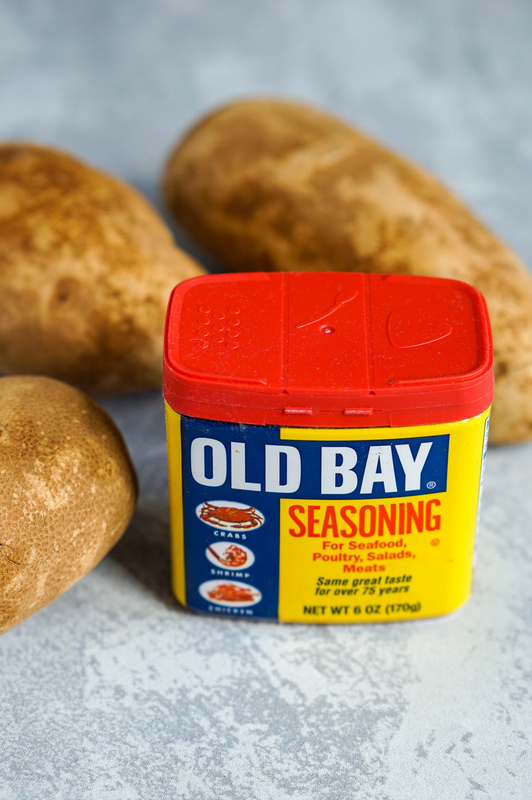 What’s your favorite way to use OLD BAY®? What’s a food unique to the area you live? Yum!! I never thought to season french fries with Old Bay, but I’m definitely going to need to try that out. You must give it a try Rachel and let me know what you think! What else do you use OLD BAY on? Even though I’ve grown up in MD, I honestly hate Old Bay and crabs! I guess its because my whole family is From New York and I was the only one born here! But I have to say your recipe does look delicious! Oven baked fries are SO good!!! Right! I’d take them over the oily fried ones any day! These look so good! How many pounds of potatoes would you say you used? Hi Adriana, they are so very yummy! And I spread the fries out on two large baking sheets. Each sheet fits about 2 potatoes, I’m not sure how many pounds though.